If you’re looking for a boating adventure with a large group and a lot of fun, then a St. John catamaran excursion is the trip for you! St. John catamaran excursions usually involve a half or full day on the water along with a variety of great activities and adventures. On the boat, you can choose sun or shade for your ride. Once the boat is docked at a snorkel, scuba, or sightseeing stop, you will be loaded with necessary equipment for your adventure. A ladder will lead you down into the crystal clear water for your water activities, or you will get out on a white, sandy beach for some land exploration. Whatever St. John catamaran excursions you select, you are sure to have a wonderful time doing something new and exciting in one of the most beautiful places in the world! Find out more about all of the fun adventures to enjoy near CimmaronStJohn when you read about some of the best things to do in St. John. It’s full of some great recommendations for St. John catamaran excursions. The 40-foot Calypso Catamaran can seat up to 32 guests and offers full day trips from 8:30a to 3:30pm. These trips include a delicious continental breakfast. Indulge in breakfast breads, sliced fresh fruit, juice, water and soda, along with an open bar after snorkeling. Beer, wine, Painkillers, Bloody Mary’s, Mimosas, Champagne, Vodka, Gin, and Rum are a few drinks you can enjoy during your St. John catamaran excursions. The Calypso sails to Jost Van Dyke of the British Virgin Islands. The adventure includes a great snorkeling exploration in between, with gear and instruction provided. Be sure to bring some money for lunch at the Soggy Dollar Bar and other White Bay establishments! Another great option of St. John catamaran excursions is the Kekoa Catamaran. This St. John boat charter vessel is a 50-foot beauty with black sails and a deck that glows blue at night. You can select between four different excursions on this catamaran. There are half and full day options, as well as a trip to Jost Van Dyke and a sunset sail. Get ready for those decks to glow blue on the sunset sail as you enjoy a leisurely ride along the protected waters of Pillsbury Sound. Watch as the sun sinks into the horizon and scatters colors along the water and across the outlying islands. You will enjoy fresh hors d’oeuvres and cocktails from the open bar. Enjoy luxury catamaran Sweet Pea during your island excursion. This 40-foot luxury vessel provides room for 12, snorkel gear, and stand-up paddleboarding. Your premier trip could be a private day, sunset sail, or dinner cruise, depending on your personal preference. After racing along the crystal clear St. John waters, you will enjoy a gourmet lunch or dinner prepared by the catamaran’s chef. The all-inclusive bar features premium beverages to make your trip as relaxing as possible! 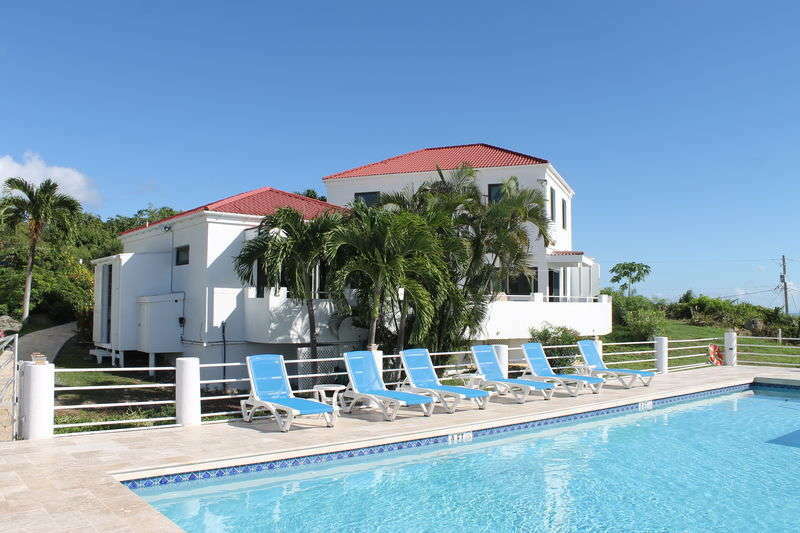 When you visit St. John, be sure to stay at one of our luxurious vacation homes! CimmaronStJohn provides a great home base for all your island adventures, such as St. John catamaran excursions. But, we also provide a true home away from home. Sit back and relax on your private porch with your loved ones while sipping an island cocktail. Or sprawl out in your luxury bed for a comfortable night’s rest. Book your perfect US Virgin Islands vacation home today!